This article is about the American agricultural cooperative. For other uses, see Land O'Lakes (disambiguation). Land O'Lakes, Inc. is a member-owned agricultural cooperative based in the Minneapolis-St. Paul suburb of Arden Hills, Minnesota, focusing on the dairy industry. The cooperative has 1,959 direct producer-members, 751 member-cooperatives, and about 10,000 employees who process and distribute products for about 300,000 agricultural producers; handling 12 billion pounds of milk annually. It is ranked third on the National Cooperative Bank Co-op 100 list of mutuals and cooperatives. The co-op is one of the largest producers of butter and cheese in the United States through its dairy foods business; serves producers, animal owners and their families through more than 4,700 local cooperatives, independent dealers and other large retailers through its Purina Animal Nutrition business; and delivers seed, crop protection products, agricultural services and agronomic insights to 1,300 locally owned and operated cooperative and independent agricultural retailers and their grower customers through its WinField United business. Land O'Lakes was founded on July 8, 1921 in Saint Paul, Minnesota, by representatives from 320 cooperative creameries as the Minnesota Cooperative Creameries Association. This organization aimed to improve marketing and quality of butter, and thus increase the profitability of dairying. The Association developed and implemented the systematic inspection, grading and certification of butter from member creameries, resulting in greater uniformity of product. The improved quality and uniformity, and the reliability of its grading system, were touted in advertising materials. In 1924, the uniformly graded sweet cream butter was given the name "Land O'Lakes" after a contest, and the certificate forms used by the Association included the "Land O Lakes" marketing name (Minnesota's state nickname is "Land of 10,000 Lakes"). The name became so popular that the organization's public identity was often confused with its product name; thus, in 1926, the organization itself adopted the name "Land O'Lakes Creameries, Inc." and became eponymous with its product. The co-op was often accused of unfair competition and false advertising in its early years, and compelled to defend its inspection and certification processes. Eventually, however, the sweet butter marketing strategy drove competitors either to match the quality of butter produced under the Land O'Lakes name or see their sales decline. Many competitors in the dairy products business copied the Land O'Lakes approach, and the certification of quality became a proven marketing technique in other product lines as well. In the 1960s and 1970s, Land O'Lakes and Lake to Lake (which later merged into Land O'Lakes) had a rivalry with the National Farmers Organization over the practice of withholding milk from market. One member was expelled from Lake to Lake for recruiting other farmers into NFO. The Land O'Lakes co-op has grown through numerous acquisitions, and now has a large business in farm supply in addition to dairy. In 2001, it paid $360 million - and assumed $130 million in debt - to take over animal feed producer Purina Mills, once part of Ralston Purina. Purina Mills' new owner planned to merge the company with its Land O'Lakes Farmland Feed division but would keep the Purina name and logo. In 1978, Land O'Lakes got into the meatpacking business with the purchase of Spencer Beef. It sold Spencer Beef in 1983 to Excel, now Cargill Meat Solutions. A federal court in 2002 ordered Land O'Lakes to pay $3 million for patent infringement to Dr William Pordy, the inventor of a type of dairy creamer. An appeal court later overturned that ruling. Land O'Lakes took an ownership stake in egg producer MoArk in 1999; it took full ownership of the company in 2006. In August 2012, Land O'Lakes purchased refrigerated desserts manufacturer Kozy Shack Enterprises for an undisclosed sum. In December, 2013 Land O' Lakes acquired Geosys, an international satellite imagery and remote sensing service provider headquartered in Toulouse, France. Geosys continues to work with WinField to develop a web-based decision making tool enabling its members to view remote sensing maps based on Normalized Difference Vegetative Index (NDVI), a measure of green biomass. In 2018, Land O' Lakes sold Geosys to UrtheCast Corporation. In June 2016 Land O'Lakes acquired the Thousand Oaks, California-based biofuels firm Ceres, Inc. In July 2018 Land O'Lakes named Beth Ford as its first female CEO. Ford's role became effective August 1. At the time, she was the third openly gay woman CEO to run a Fortune 500 company. The company's headquarters is in Arden Hills, Minnesota in suburban Minneapolis-St. Paul. The recursive image shown on the Land O'Lakes butter packaging is an example of the Droste effect. The Land O'Lakes indigenous American maiden, named Mia, holding the butter box was painted in 1928 by Brown & Bigelow illustrator Arthur C. Hanson. According to Land O'Lakes, the original Indian maiden, Mia, was "simplified and modernized" in 1939 by Jess Betlach and has undergone many minor modifications since as the enduring logo of the co-op. Red Lake Ojibwe artist Patrick DesJarlait updated Mia's image in the 1950s. The package image is an example of the infinite-loop motif or Droste effect, in which the image is repeated, in theory infinitely, within itself. 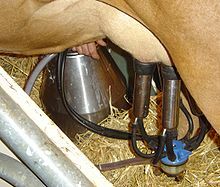 In September 2009, People for the Ethical Treatment of Animals (PETA) released an undercover video allegedly depicting animal abuse of dairy cows at a Pennsylvania supplier for Land O’Lakes, Inc. The video showed unclean conditions in the barn and milking parlor and cows with infections and illness. The supplier’s employee was found not guilty of animal cruelty charges resulting from this incident and an investigation by veterinarians hired by Land O’Lakes revealed no mistreatment of animals, but the veterinarians suggested that bedding, hygiene, ventilation and animal disposal practices be improved. Land O'Lakes states that it is supportive of the dairy industry’s National Dairy F.A.R.M. : Farmers Assuring Responsible Management (FARM) animal care standards. In May 2017, the animal rights organization Compassion Over Killing released undercover footage of cruelty to animals at DFA supplier Mason Dixon Farms, which documented "cows being kicked in the face, punched in their sensitive udders, excessively shocked with an electric prod, jabbed with a pens or elbows, and having their tails twisted or bent by workers." The footage resulted in the firing of one employee. Since August 2012, WhiteWave Foods has licensed the Land O'Lakes name and sold coffee creamers and fluid dairy products under the brand. ^ a b "Fortune 500: Land O' Lakes". Fortune. ^ "Welcome to Land O'Lakes, Inc". Retrieved 10 July 2010. ^ "2010 NCB Co-op 100". National Cooperative Bank. Archived from the original (pdf) on 2005-02-17. Retrieved 2018-12-25. ^ "COMPANY NEWS; LAND O'LAKES TO BUY A LEADING LIVESTOCK FEED COMPANY". The New York Times. 19 June 2001. ^ "Land O'Lakes, Inc. History". Funding Universe. Retrieved 28 August 2016. ^ Lucht, Gene (June 20, 1983). "What's next? Spencer Beef sale will bring changes, but not right away". Spencer Daily Reporter. Retrieved June 24, 2016. ^ "Land O' Lakes Ordered to Pay Inventor". The New York Times. 3 January 2002. ^ "Appeal" (PDF). Retrieved 21 November 2013. ^ Markels, Alex (1 September 2002). "A Marketing Cry: Don't Fence Them In". The New York Times. Denver. Retrieved 9 January 2015. ^ Winn, Mari (31 January 2006). "Land 'O Lakes now owns 100% of MoArk". Joplin Independent. Retrieved 9 January 2015. ^ "Land O'Lakes Closes Kozy Shack Acquisition" (Press release). Land O'Lakes. 1 August 2012. Retrieved 6 August 2013. ^ Stych, Ed (18 July 2012). "Land O'Lakes buys dessert maker Kozy Shack". BizJournals.com. Retrieved 6 August 2013. ^ "Land O’Lakes, Inc., Acquires Geosys" December 4, 2013. Retrieved 2015-05-14. ^ "Land O'Lakes to Sell Geosys for $20 Million". Successful Farming. 2018-08-23. Retrieved 2019-04-08. ^ "Land O'Lakes Acquires Ag Biotech Developer Ceres Inc". Hay & Forage Grower. June 21, 2016. Retrieved November 17, 2016. ^ Carpenter, Julia. "A new first for LGBTQ business leaders". Money.cnn.com. Retrieved 2018-07-28. ^ "The Latest Female CEO in the Fortune 500 Breaks a New Barrier". Fortune. Retrieved 2018-08-17. ^ a b Houze, Rebecca (2016). New Mythologies in Design and Culture: Reading Signs and Symbols in the Visual Landscape. London: Bloomsbury. ISBN 9780857855213. p. 93. ^ Anthes, Bill (2006). Native Moderns: American Indian Painting, 1940–1960. Durham: Duke University Press. ISBN 9780822338666. p 99. ^ "PETA: Cow Abuse at Land O' Lake Supplier". September 29, 2009. Archived from the original on July 28, 2011. Retrieved 2009-10-14. ^ "Land O'Lakes Investigation of Dairy Farm Concluded". October 12, 2009. Retrieved 2009-10-14. ^ "Land O'Lakes Member Cleared of Animal Cruelty Claims". March 19, 2010. Archived from the original on March 25, 2010. Retrieved 2010-03-23. ^ "New COK Video Pours out Painful Truth about Dairy". Compassion Over Killing. Retrieved May 13, 2017. ^ Michael Tanenbaum (May 10, 2017). "Undercover video at Pennsylvania dairy farm leads to employee's firing". Philly Voice. Retrieved May 16, 2017. ^ Dean Foods, Land O'Lakes expand strategic alliance. Eurofood. 15 Aug. 2002. Kenneth D. Ruble. Men to Remember: How 100,000 Neighbors Made History. (Lakeside Press, 1947), a company-sponsored history of the early years of Land O' Lakes (1921–1945). See especially pp. 163–167 and 181-184, concerning the evolution of the name of the product into the company name. Wikimedia Commons has media related to Land O'Lakes. This page was last edited on 10 April 2019, at 22:02 (UTC).